Very simply, we help people to make positive changes, easily and quickly, using hypnosis and NLP. People ask us to help with issues like Anxiety, Stress, Depression, Pain Management, Self-Confidence, Bad Habits & Behaviour. What did the Dr say about Newcastle Hypnotherapy? Thanks to Dr Andrew for his positive feedback. You can read more client feedback on our Hypnosis and NLP service below. We help people from all walks of life including many NHS and health care professionals. Naturally many of our new clients like to chat with us first to answer any questions and discuss their issues. To help you with this we offer everyone a free 15-minute phone consultation. This helps us to explore your issues and look at the best way forward for you. Simply call 07568 455 809 to arrange your phone consultation or alternatively, some clients prefer to book a session straight away. You can pick the best option for you below. Book your hypnotherapy session online – Click Here Now. Clinical Hypnotherapy With A Difference. Our clients tell us that we are a little different from other hypnosis practitioners. Why? We use a wide range of modern techniques for great mental health such as NLP, EFT, nutrition, mindfulness and hypnotherapy. They tell us we offer a friendly, professional service, focused on you at affordable prices. This means we will look at all of the factors that may be causing you an issue. We often look at your diet, your lifestyle, your relationships, habits and more. We can then evaluate the areas that may be causing or adding to your problem and then suggest the best ways forward for the best results. Yes, Hypnosis & NLP can help you with that. We help people overcome many issues using hypnotherapy & NLP including Anxiety, Depression, Stress, Anger, Phobias, Pain & Chronic Pain, Weight Loss & Weight Management, Addiction, Alcohol, Stop Smoking, Habits, Grief, Lack Of Confidence, IBS/Irritable Bowel Syndrome, Tinnitus, Sleep Disorders, Allergies, Food Intolerances, Candida and more. Newcastle Hypnotherapy – hypnotherapy near me. Wherever you are, we can help you as we work from several locations in the North East & now conduct hypnotherapy sessions online. Our main location is Newcastle Hypnotherapy at The Vault Creative Wellbeing Centre, Station Road in Wallsend, Newcastle upon Tyne. This is a handy location as it is situated very closely to Wallsend Metro station, close to ASDA Wallsend and Wallsend Shopping Centre, The Forum, just off Wallsend High Street. There is also plenty of parking at our Wallsend Hypnotherapy Practice as there is a dedicated parking area. Also popular with our clients is Food For Thought, in Seaton Delaval, Whitley Bay, Newcastle upon Tyne. (Astley Clinic of Complementary Medicine). We also work via Online Sessions via Skype & Zoom for video sessions that are as successful as face to face meetings. Newcastle Hypnotherapy Google Map – our main location in Wallsend, Newcastle Upon Tyne. Newcastle Hypnotherapy Workshops, Group Sessions & Training Events. Many clients like to attend the many hypnosis & NLP workshops, group sessions, and events we run. These are a great way to learn new skills for life improvement. You will make friends and work with others with similar outcomes. Our Self Hypnosis Workshops are very popular and a great way to learn to use Hypnosis for your self. Visit the Newcastle Hypnotherapy Events & Workshop Page for more information. Learn more about The Secret Workshops. Newcastle Hypnotherapy organise regular events known as The Secret Workshops across the North East and in Newcastle upon Tyne. You can join The Secret Workshops Newsletter below. Your privacy is safe and you can unsubscribe at any time using the link in the email. Newcastle Hypnotherapy – Online Hypnosis Sessions. Online hypnotherapy sessions are becoming very popular as many clients love hypnotherapy in the comfort of their own home. All you need is a PC or smart phone and you can also enjoy hypnotherapy and NLP sessions online. If you would like to experience online hypnosis from Newcastle Hypnotherapy simply follow these steps. 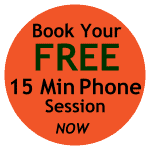 Arrange your Free 15 Minute Strategy Session – Click Here Now. Book your hypnosis session to take control – Click Here Now. Online hypnotherapy is suitable for most issues and you can ask about this in your Free 15 Minute Strategy Session. Why is Hypnotherapy & NLP so effective? Watch this short video. Frequently Asked Questions – Hypnosis & NLP. Most of our clients see improvements in the first hypnosis session and these improve nicely over time. Everyone is different and we will explain the results you can expect during our first meeting. Our aim is to create change and improvements at a pace that is comfortable and suitable for you. Hypnosis is a natural mental state that we all experience every day. Imagine being totally focused on a good film, TV programme, driving a car or listining to your favourite music. These are all a form of hypnosis. A hypnotherapist or hypnotist will guide you into a hypnotict trance using a hypnotic induction. While enjoying this relaxed and focused state, we work together to make the changes in your mind to modify behaviours and habits for the better. Hypnosis is simply a very relaxed state where you will be fully aware, conscious and in control. It is a very enjoyable experience, similar to deep meditation. Hypnosis is very focused and uses the power of both your conscious and unconscious mind. Most clients report they experience deep relaxation whilst being in control and more aware. Many say they feel very refreshed and positive as the session comes to an end. Clients working through stress, anxiety and depression state they quickly feel relaxed, feeling the issue fade away and being replaced with a feeling of hope, feeling in control and relief. No. Hypnosis is not the same as sleep. Hypnosis is a heightened state of awareness and you will be fully aware of sounds outside, such as the moving traffic, voices or birds singing. You will remember your session in full detail and clients tell us they feel relaxed, calm peaceful and energised after their hypnosis sessions. How Long Do Hypnosis or NLP Sessions Take? Usually, your first hypnosis session will take about 1 hour to an hour and a half. Additional sessions are usually about an hour in length depending on what we are working on. If there is to be any variation on this we will let you know. This really will depend on what we are working on. Normally we can estimate the number of hypnotherapy sessions you may need during your free phone consultation. For most issues, 2 to 3 hypnotherapy sessions are required. This depends on what we are working on. We can advise on this during your free phone consultation. Certainly. We find Self-Hypnosis is of major benefit to our clients and gives you some amazing tools for life improvement. We teach Self-Hypnosis through regular workshops or one to one sessions. Click here to learn more about Self-Hypnosis. What Is The Difference Between Hypnosis & Self Hypnosis? Hypnosis is a way of changing mental states for your benefit, usually directed by a hypnotherapist. Self-Hypnosis is directed by yourself, such as moving yourself into a confident state. When you learn self-hypnosis you have the skills to quickly change your mental states. Self-hypnosis is a powerful set of tools that can enhance your life. You can learn more about self-hypnosis here. Do You Do Group Talks & Demonstrations For Hypnosis & Self-Hypnosis? Of course. We regularly do group talks, Self-Hypnosis demonstrations and private workshops for companies, charities and groups. Simply call us on 07568 455 809 to discuss this. This is an interesting question and the answer can be different depending on the hypnotist you speak to. I personally believe everyone can be hypnotised and I have yet to meet someone that can’t be hypnotised. I have met plenty of people who state they can’t be hypnotised and found they certainly can be hypnotised. Some people are certainly resistant to hypnosis, usually due to a fear of being out of control. Teaching Self-Hypnosis is very useful in this situation to allow the client to enjoy and experience the benefits of hypnosis themselves. Is Hypnosis Always The Best Therapy For Change? Hypnosis and Self-Hypnosis are very powerful tools that are often perfect for change work. Other tools can be just as powerful for change work. A good hypnotherapist will be experienced and trained in other tools such as Neuro-linguistic programming (NLP) and Emotional Freedom Technique (EFT) as they see fit for best results. We also use other useful therapies or work with other therapists as best for you, the client. Hypnosis can be dangerous if used while operating machinery or driving. Hypnosis is perfectly safe when working with an experienced professional. The use of hypnosis has been recognised by the AMA or American Medical Association since 1958. 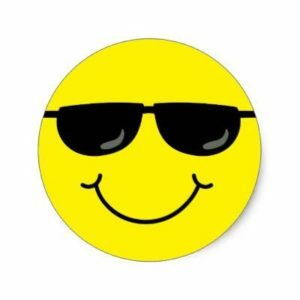 Do You Provide Hypnosis Audio Recordings? Yes, when suitable and beneficial. Many clients find a great benefit that we make recordings of your hypnosis sessions and give it to you. As these sessions are designed personally for you, you may find faster or great results by listening to these during your week. Are Premade Hypnosis Recordings Helpful? For best results, hypnosis recordings tailored especially for you will give you the best results. To do this we need to work together in person or by video calls. There are many good hypnosis audio tracks that you can purchase and they should be of benefit although they will not give the same results as a personalised hypnosis session. Can You Work Via Skype Or Video Calls For Online Sessions? Yes, we use Skype and other online video sessions when required. We do find client results are just as successful online as they are in person. Simply call us on 07568 455 809 to discuss this. You can read more Newcastle Hypnotherapy client feedback here. Are you ready to take control and make some changes? 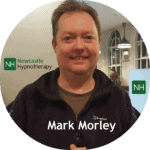 You can call Mark at Newcastle Hypnotherapy on 07568 455 809 Today and arrange your Free, Confidential Phone Consultation. Alternatively, complete the form below. Mark started to use self-hypnosis in his teens to help with self-confidence, anxiety, health issues and to overcome a stammer. He was very impressed with the results and quickly started to study a lot of personal development techniques as he went on to start and run various businesses. Over time he found Neuro-linguistic programming (NLP) to be a set of very powerful tools for change work. Mark took professional courses with NLP North East to become a Practitioner and then a Master Practitioner in NLP. During these courses, he also enjoyed the hypnosis skills learned and moved forward to become a qualified Clinical Hypnotherapist. 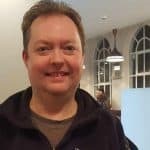 Mark successfully used many of these skills to build successful businesses including an entertainment company, a sales and marketing business, a health food company and a community group. Mark writes, “Although most of what we do is Hypnotherapy & NLP work, I have several years of experience with nutritional work during my time in the health food industry. Very often customers would come to me thinking a pill or supplement would fix a digestive problem when if fact I could see anxiety or stress were the issues. Diet is also a major factor when it comes to good mental health. We know that when key nutrients are missing, certain problems are more likely to take place. We do work with other therapists and clinics when needed to address these issues. Often we need to check a clients diet and lifestyle and sometimes suggest they have a full blood check or health check before we proceed. Is the time right for you to take control? Call Mark at Newcastle Hypnotherapy on 07568 455 809 or complete the contact form below to arrange your free phone consultation. We can simply chat about your issue and look at the best way for you to move forward at a pace that is comfortable for you. Can I Get Hypnosis On The NHS? Sadly no. Hypnotherapy is not available through the NHS and you need to arrange your hypnotherapy yourself. We believe hypnosis should be available on the NHS for everyone as the results are often life-changing and sometimes better than medication. If you would like us to contact you please leave your details below along with the best time to contact you. Thank you. Your privacy is important to us and your data will never be shared or sold. We are GDPR compliant at all times.